Meet Terri, 23, from the Shetlands, to find out more about life as a knitwear designer. Part of our Bitesize world of work series. I'm Terri, I'm 23 years old, and I'm a knitwear designer. I've always been a knitter. I learnt to knit in primary school. We had knitting classes every week, just the same as we had Music or P.E. My family have been knitting for years and years. We can trace it back to about the 1700 to 1800s. My grandmother has a knitwear business of her own. I could practise things with her and, as my business has grown, I've moved into my own space. I got my knitting machine from our local college. They were getting rid of several broken machines so I put the pieces together and got a machine that worked. Once my machine was up and running, I just couldn't stop. I ended up leaving my full-time job and started my business and it's been just great since then. I specialise in Shetland wool. So we have a special kind of sheep here called a Shetland sheep and it produces a very specific type of wool, which is very warm, it's waterproof, and it's ideal for making jumpers. In my business, I make a variety of different products. I make jumpers and headbands on the knitting machine and, by hand, I make hats and gloves as they're a bit more fiddly. Knitting a jumper is a step-by-step process. First, I need to choose my patterns and shapes and then the colours to go with them. I'll go to the shop and get any yarn that I need and, from there, I can start to make the different panels. Then I have people who help me to sew it all together. I then check over the whole garment and I wash it. Then I put it on a jumper board to help stretch it into shape. Then it just needs a Terri Laura label inside of it and it can be posted to the customer. When I was at school, I really didn't know what I wanted to do and I thought that I wanted to have a different job for every day of the week, and my work now really feels like that. It's so varied and I get to be creative. I would just really like to see where my business takes me because, at the moment, it feels like it could be anywhere. "I’ve always loved knitting – my ancestors have been doing it for generations." Terri's grandmother taught her how to knit and owns her own knitwear shop! A role similar to Terri's is a textile designer. Textile designers create fabric designs and patterns for woven, knitted and printed materials for clothes and the home. Typical entry requirements: There is no set way to become a textile designer; you can either complete a university or college course in Fashion and Textiles or Art and Design, become an apprentice or gain work experience in the industry. Getting experience is important because you'll need to present a design portfolio when you're looking for work. You could also join The Textile Institute and The Textile Society for professional training. 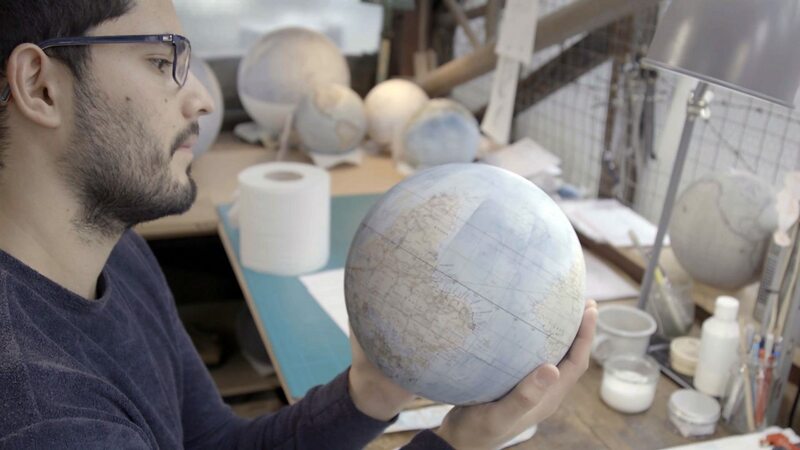 Eddy is learning how to make beautiful hand-made globes. 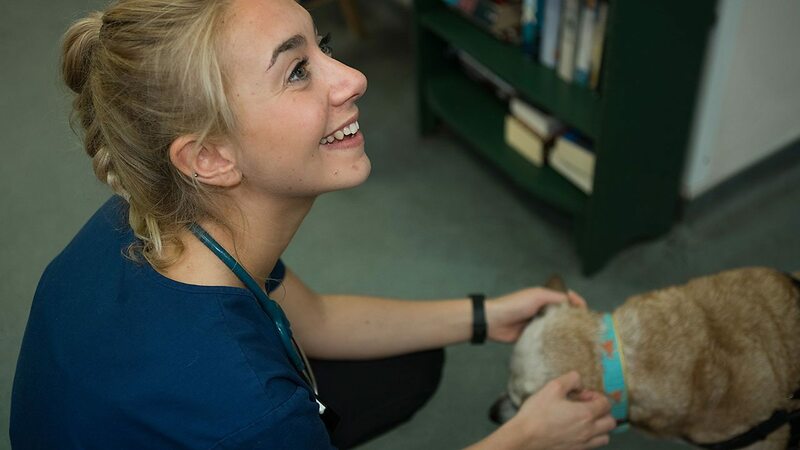 She uses her knowledge of Biology in her job as a vet. 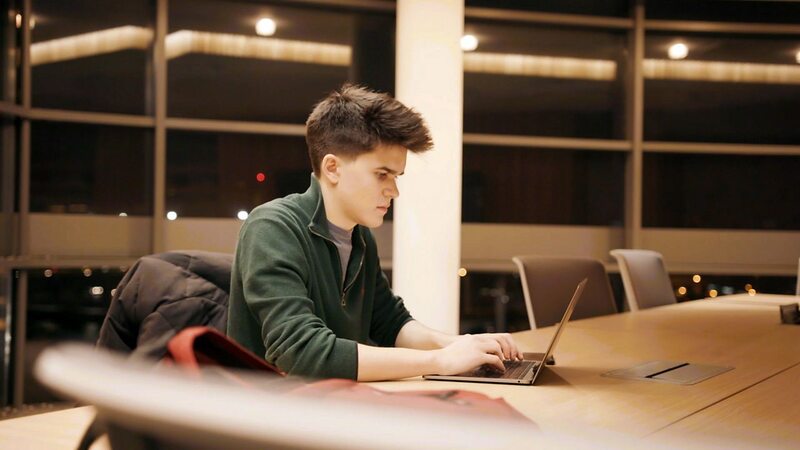 Adam runs coding events for young people.